The Fourth World Congress of the Communist International endorses the work carried out in the period under review by the International Communist Women’s Secretariat in Berlin, an auxiliary organ of the Executive Committee. The achievement of the International Communist Women’s Secretariat is that in every country with an active revolutionary movement, women Communists have joined the sections of the Communist International, and have studied and become involved in the work and struggles of the Party. An additional achievement of the Secretariat is that Communist agitational-propaganda and organisational work has reached the vast masses of women and drawn them into the struggle for the interests of the working masses and for Communism. The International Communist Women’s Secretariat has sought to link the work of Communist women among the working women of various countries on an international scale, i.e., with the work and struggles of the Communist Parties and the Communist International. It has been able, in conjunction with the Communist Parties of the different countries, to extend and strengthen the international ties between women Communists who have joined these Parties. All its activity has taken place in continuous and close contact with the Executive Committee, under its guidance and in accordance with the major lines and decisions concerning principles and tactics that have been taken at the World Congresses of the Communist International and at the Second International Communist Women’s Conference in Moscow. The particular methods of Communist Party work among women, and the special organisations for carrying out this work (women’s secretariats, zhenotdels*, etc.) that were set up on the basis of these major policy decisions, have proved not just useful but indispensable in popularising Communist ideas and slogans among the vast majority of working women. In those countries where the class rule of the bourgeoisie still exists, the first priority of systematic Communist work among women workers and proletarians has been the struggle against the capitalist exploiters to defend the bare necessities of life, the struggle for the overthrow of the bourgeoisie and the establishment of the dictatorship of the proletariat. 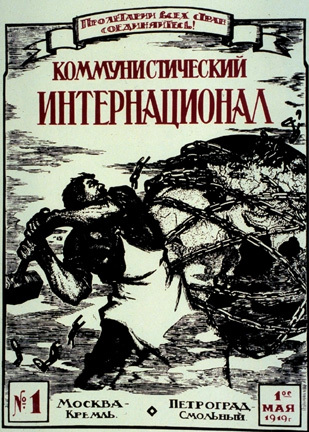 In the Soviet states, however, this work has been mainly concentrated on drawing working and peasant women into all aspects of economic and social life, involving them in the construction of the proletarian state and educating them to fulfil these duties. The international significance of Soviet Russia as the first workers’ state created by the world revolution means that Communist work among women acquires great importance as an example for all those sections of the Communist International which are in countries where the proletariat has yet to seize political power – the pre-condition for the Communist transformation of society. The necessity and value of special organisations for Communist work among women is also proved by the activity of the Women’s Secretariat in the East, which has carried out important and successful work under new and unusual conditions. Unfortunately, the Fourth World Congress of the Communist International has to admit that some sections have either completely failed to fulfil, or have only partially fulfilled, their responsibility to give consistent support to Communist work among women. To this day, they have either failed to take measures to organise women Communists within the Party, or failed to set up the Party organisations vital for work among the masses of women and for establishing links with them. The Fourth Congress urgently insists that the Parties concerned make up for all these omissions as quickly as possible. It calls on every section of the Communist International to do all it can to promote Communist work among women, in view of the great importance of this work. The proletarian united front cannot be realised without the active and informed participation of women. In certain conditions, if there are correct and close links between the Communist Parties and working women, women can become pioneers of the proletarian united front and of mass revolutionary movements. The Communist International must unite all forces and with no exceptions must develop a revolutionary consciousness in all sections of the proletariat in preparation for the building of Communism and for the struggle against the class rule of the bourgeoisie.